©Original design/rendering by Creative Director, Ty Jennings, for ShutterMIX - in collaboration with LDJ Productions/M&C Saatchi London/Reebok. 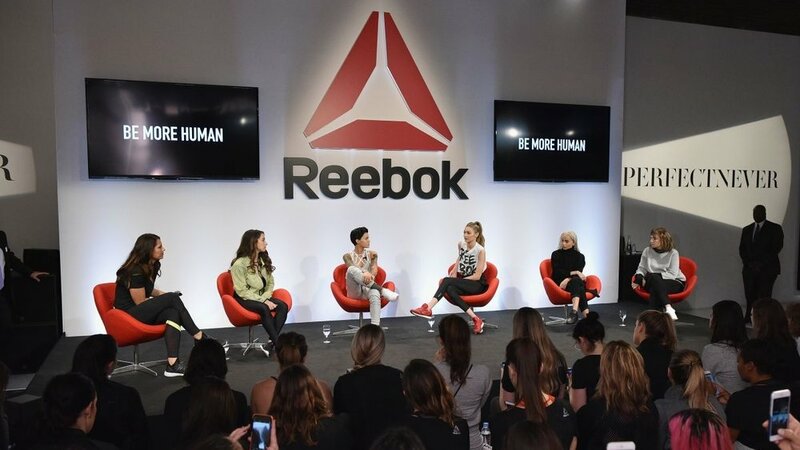 NEW YORK - Creative Director Ty Jennings worked with NYC-based LDJ Productions (NYFW) and London-based Saatchi for Reebok's launch of their #PerfectNever campaign, starring Gigi Hadid, which included a group workout and was highlighted by a panel discussion with Gigi, Lena Dunham, Zoe Kravitz and more. Ty Jennings designed the exclusive 'Pop-Up Shop' for the the US Launch event, featuring never-before-seen Reebok product and innovation, and yet-to-be-released artwork from the 2017 campaign. All Pop-Up Shop design featured below, including materials, lighting and layout, designed by Ty Jennings - All other event design by LDJ Productions.